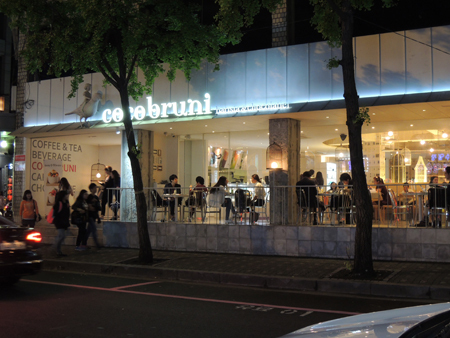 A coco bruni franchise coffee shop stands where a small restaurant operated for 25 years at Hongdae in Seoul. 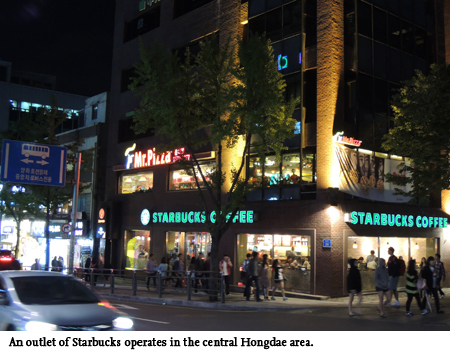 Soaring rental costs in the area around Hongik University are driving out small, independent store owners, bringing in conglomerate-owned chains. Hongdae, the area around Seoul’s Hongik University, has long served as an incubator for indie bands and poor urban artists. Rumble Fish, Jaurim, Crying Nut, and other musicians performed there before they rose to stardom. However, musicians are leaving what used to be a hub of freedom and underground music, as a plethora of commercial shops are quickly occupying the area. Lee Young-jik, a 23-year-old keyboard player of indie band Peacock Green, said an obvious change is taking place in the cultural mecca of Seoul. 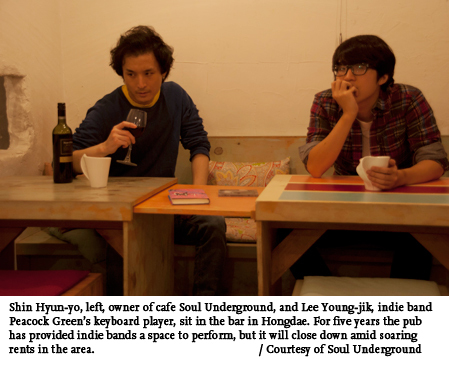 As the glory days of indie bands in Hongdae seems to be on a downward curve, many musicians who have lost their jobs are forced to leave to seek opportunities in other places. With the area gaining international recognition, the rent has gone up to the point where many poor artists can no longer afford to live there just like the artists in SoHo had to leave the area after rents skyrocketed. The lower Manhattan area used to be a place for artists but is now inhabited by luxury shops, leaving many of them priced out after building a reputation. Hongdae is experiencing the same fate with bigger franchises filling the artists’ empty spots. Shin Hyun-yo, an owner of a small bar Soul Underground located nearby exit 6 of Hongdae Station, is getting ready to close down. He has been in the business for almost five years. Enjoying the unique and special ambience of Hongdae that was created by young, unknown and penniless artists, Shin used to stroll down the streets of the area during his college years in the ‘90s. That was the main reason he opened his own bar and offered a cozy stage for underground singers. “I think I’m almost done with Hongdae,” Shin said. “It is no longer the place it used to be. Money changes everything. Small business owners like me have been leaving this place. Oh, no, more precisely, they are kicked out by big money and I’m sick of it,” he said. He pointed out rents have surged around Hongdae due to an inrush of capital from conglomerates. For the past decade, the place used to be popular among many artists, with relatively low rents. Thanks to those distinctive features, young people visited in order to enjoy the atmosphere. But over time, the hippie-like area turned into one of the most lucrative business zones attracting business people. “Many small business owners like me are struggling to keep my head above water. Running a store or bar with a small amount of capital is not a good idea. I’m going to leave because I can’t and won’t make good money but there is another reason behind my decision,” Shin said. He was most disappointed last year, witnessing his neighbor who ran a restaurant for 25 years leaving because the owner of the building doubled the rent. His neighbor couldn’t afford it, so he had no choice but to move out in search of another cheaper place. “Do you know what replaced the restaurant? A franchise coffee shop,” Shin said. “There is no sense of morality or business ethics. I strongly believe the restaurant played a critical role in making the place popular over the last decades, but the landlord simply ignored the restaurant owner’s contribution. That’s just how money works,” Shin said in a tired voice. But he promised himself that he will come back and re-start his bar and next time, he will name it not Underground but Wonderground. “My name, Hyunyo means the state of shining very brightly. I want the meaning of my name to dwell in the bar,” he said. Unplugged is one of the few places left in Hongdae where musicians can come and play. Located in an old building on a street lined with clothing stores, the owner runs a coffee shop on the fourth floor and offers a place for musicians to perform on the fifth. According to Kang, over the years rents in the area have more than doubled, in some cases three or four times the original. So numerous small bar owners like him have left Hongdae and moved to the nearby Sangsu and Hapjeong areas which have relatively lower rents. But even there, the vicious cycle continues, he said. When they first go to new areas, they are not yet commercially developed. But as they settle, the districts start developing along with them and rental costs rise, forcing them to leave yet again. Kang said several owners like him had been gathering regularly to discuss ways to protect and promote the culture of newly born musicians. 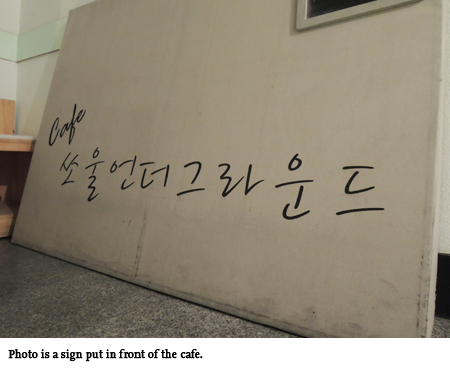 But even these gatherings have been fading away, as owners continue to leave Hongdae. With franchise stores of conglomerates taking their places, Hongdae _ once a place where young, talented and ambitious musicians thrived _ has become a mere commercial district, said Kang. 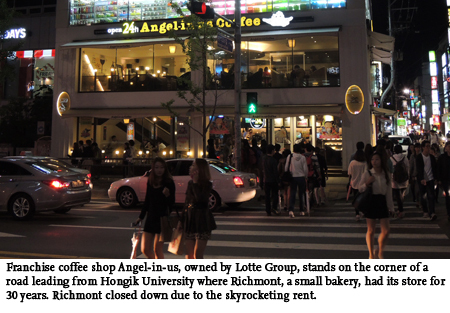 He also recalled the time earlier this year when Richmont, a 30-year-old bakery in front of Hongik University closed down, unable to bear the exorbitant rent, only to be replaced by another coffee chain outlet. Love, love your blog! More power to you! 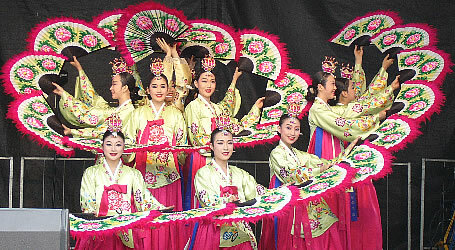 The U.N. approves of Gangnam Style? Yes!